This podcast is tailored for you. The individual who wants more out of life, who feels that they were meant for greatness, but feels stuck in some way. Listen in each week to gain insights on positivity and optimism through an inspiring and transparent interview. Have you ever wondered why sometimes even when you’re eating healthy, drinking lots of water, exercising, getting enough sleep and taking care of your mental game that you still may not be feeling well? Some of the latest medical research has been revealing how important our digestive track truly is when it comes to overall health and wellness. It turns out that our gut can tell us quite a bit of information about our health. Probiotics have been very popular in the last few years. However, with so many options available, are we really ever sure if the probiotic we buy is really helping us? How can we know if the healthy bacteria in our gut is improving? Have you taken time to be silent lately to reflect? Do you know what it means to truly be yourself? 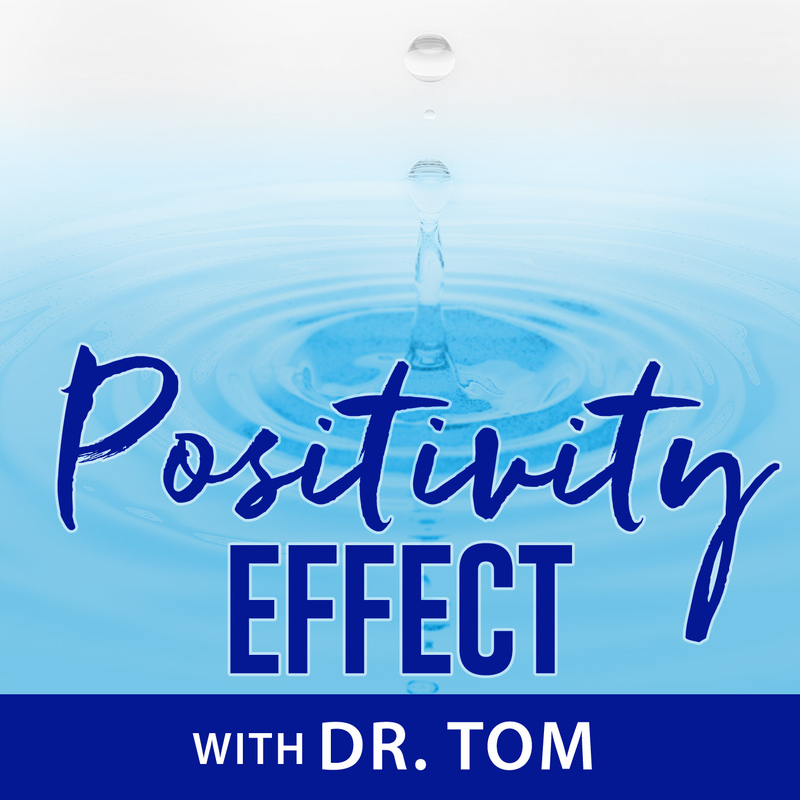 Join Dr. Tom here on his return to the Positivity Effect where he shares an anecdote about how his life has been the last few years. Being a positive spirit and creating a ripple effect of positivity throughout this world is something we should all strive for. Dr. Tom also challenges the listeners to look deep within to contemplate a powerful question. Are you living your life on a day to day basis the way you believe you should or living it the way others believe you should live? Rich Rotanz. Emergency Manager, Safety, and Fire Science Professional with forty years of experience in public policy, safety and mitigation, emergency management, fire protection, rescue tactics, hazardous materials incidents and planning/research for all natural, civil, and technological hazards including acts of terrorism. Ryan Hunter is a Long Island, NY native musician who is the lead singer for Envy On The Coast. He is also the singer/songwriter for his solo project, 1st Vows. I am a fan of Ryan’s work and I’m humbled to bring him on as a Positivity Effect guest. He’s an overall great guy and his contributions to the world of music speak for themselves. Mike Whitaker is a featured speaker and business development specialist. He is the founder of Idea Gateway and serves as a founder and board member for RevTech, a Dallas-based technology accelerator. In addition, Mike is launching three new platforms: The Idea Filter™, WisePath® and The Institute for Self Reliance to further assist personal goal achievement and income certainty in an uncertain economy. Mike has also served as Chairman & CEO for several companies and has launched a dozen other businesses in the areas of software development, manufacturing and professional services. He received his B.S. in Cognitive Psychology from the University of Kansas and his MBA from the Price College of Business at the University of Oklahoma.